Over the last two posts, I’ve detailed how we ran our new PA demonstration in such a way so that our leadership go it. I want to reiterate a few things and point out some concepts that my be helpful to those of you lobbying for a similar upgrade. No. They don’t. Like I’ve said before, we tend to think everyone is like us. But they’re not. As technical artists, we are unique. We hear things that the average person—congregant or leader—doesn’t hear. That’s our job. But just because they can’t hear it doesn’t mean they’re not perceiving it. We’ll get to that in a moment. But it’s important to realize that they won’t be able to hear a 3 dB dip at 4KHz. So don’t try to point it out. They have no idea what you’re talking about. Trying to explain that the new PA will make the music more awesome probably won’t win you the support you’re looking for, either. Ask your pastor if they would like their message to be clear. The answer will of course be a resounding yes. Now, ask him if he wants the congregation to be able to hear him clearly. The answer will also be yes. However, if your PA makes it difficult or impossible for the congregation to clearly hear what he’s saying, you have a problem. It’s like this graphic above. On the left, we see clear, direct sound. 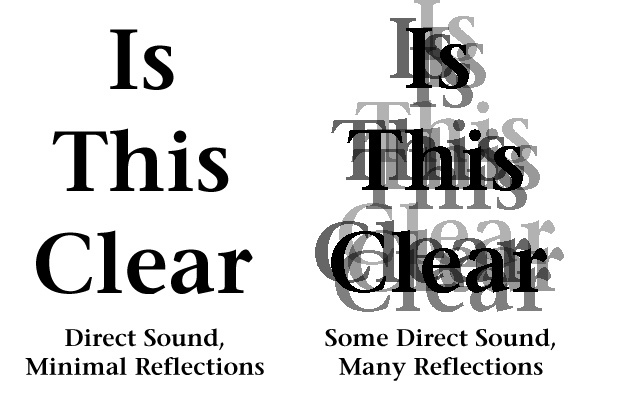 On the right, we see some direct sound, and a lot of reflections. Which is easier to read? Which is going to be easier to hear. You have to be able to demonstrate that concept clearly for your pastor. The best way is to design (or have designed) a system that will generate minimal reflections in your room, and have him try it. Once they get it, you then may have to explain some simple psycho-acoustic principles for them. Imagine trying to read an entire book typeset like the one on the right. You could probably do it, but your eyes would be sore and your head tired by the time you finished. The same is true of listening to a ton of reflections in a large room. And while we may not be able to eliminate all reflections, we want to minimize them. There is a principle known as the Haas effect. The Haas effect states that a single reflection arriving between 5-30 milliseconds after the direct source can be up to 10 dB louder than the source and still not be heard as an echo. However, once you start exceeding 30 milliseconds, you start hearing echoes. In our room, for example, because our PA is pointed at the back wall (a bad, bad idea), our pastor gets a second copy of his voice about 180 msec. after he speaks, which is a distinct echo. As he teaches, his brain needs to filter that out. That’s exhausting. Everyone in the audience also hears that echo, and it’s coming at them somewhere between 120-180 msec. as well. Again, exhausting to listen to. People may not be able to articulate it, but they do perceive it. Who wants to invite friends to an empty aircraft hanger? 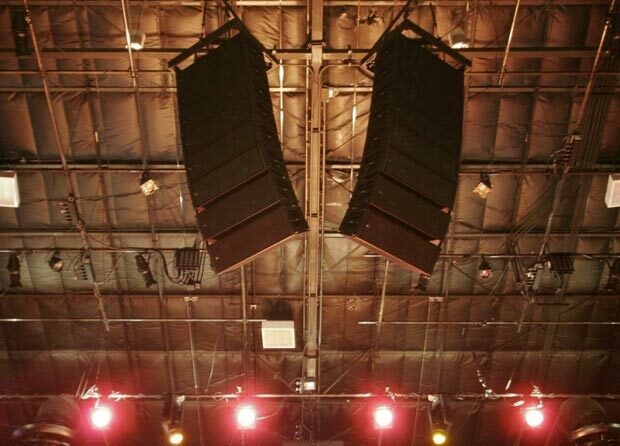 A proper PA will help your church grow. And remember, the best time to explain these principles is when you have both a good example (your demo of a proper PA) and a bad example (your old, lousy PA) in the room so you can switch between them. Even if your leadership can’t explain the difference between direct and reflected sound, they can feel it, and that will make all the difference. Now, one last thing to clarify before someone writes to me telling me we shouldn’t eliminate all reflected sound. You’re right; we shouldn’t. Having church in an anechoic chamber would be very uncomfortable. However, we want to control the reflections, and we really want to keep sound from the speakers off the walls if at all possible. If you do that, the walls will be energized with the congregation singing, which will encourage them to sing louder and more engagingly. That’s what we want. Hopefully, that’s clear.